Data not only dominate the world but most businesses also rely heavily on data in their daily operation. Small or big data is not only helpful in monitoring how well your business is doing but in also keeping track of your customer base such as in storing their contact information for future use. Unfortunately, nothing is safe in this world from disasters no matter how many precautions you take. This is worsened by the continuous threats from cybercriminals that are always prowling the web and waiting for a chance to strike whenever your defenses are down or too weak to be taken advantage of. If you own a business, you need to double your safeguards because any minor mistake can cost your business if you are not careful enough. Not only will the operation be put to a halt because the systems are down but will require you to spend a lot of cash on data recovery, which is not only expensive but there is no assurance as well that all lost data will be retrieved. You can lose your customers if you can’t get back on track ASAP and they may switch to the competition. This is really costly for small businesses who often don’t have the backup fund to help them weather this particular storm. As an entrepreneur you simply can’t afford to lose your data. You need to keep it safe from all the disasters. Not taking serious action towards the protection of your data is risky and leads to business loss as well. Who will want that? Data recovery is the process of restoring lost data which has either been made inaccessible, has been deleted accidentally or corrupted. 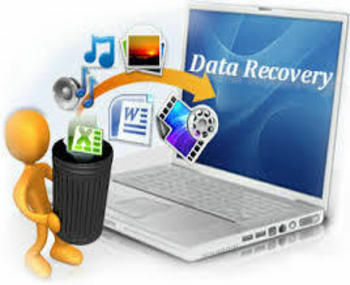 Data recovery simply means restoration of data to a server, external storage, desktop, laptop, etc. from a backup. Data loss occurs due to human errors, equipment failures, natural disasters, some sort of breach, malfunctions, firmware corruption, software crashes, logical errors and a lot more. The cause can be anything, but as a small business it is important for you and you need someone from IT to help you professionally. If you do not take immediate actions then it will result in downtime and other unhappy situations. There are cheaper data recovery software tools you can try but you may not always have the best results from it. The safest recourse is always to consult with a professional because they have a deeper knowledge of how data recovery works and know pretty well most computing structures. Their services don’t usually come cheap but you will have higher chances of getting your lost files than when you do things on your own. They are also the best people to offer you help and give advice on how to prepare for most disasters and give you tips on how to react in the midst of a disaster. Organizations of all sizes are getting hit with ransomware, putting entire systems, services and potentially even lives at risk. Nation-state attacks are more common in today’s world, in comparison to the unexpected weather events that dominated disaster recovery preparedness considerations a decade ago. As a result, the almost daily occurrence of cyber attacks is actually a bigger driver for organizations to prepare for downtime and the quick recovery required to keep businesses up and running. While organizations vet and revamp their backup and disaster recovery planning to contend with cyber attacks, they’re also including the cloud and realizing the benefits the cloud provides for disaster recovery. It is interesting to note that most disasters worth preparing for right now is no longer natural but are mainly cybercrimes that are powerful enough to stop businesses and organizations from functioning for hours and this downtime can cost a lot of money for many businesses. This is where backing up your data makes a world of difference. Buying additional storage devices is not always feasible nor can it solve your problems because they can get affected too especially when compromised. One smart solution you can try is the cloud. Your storage can be expanded to meet your needs and you can always rely on the cloud for 24/7 access to your data regardless of disasters. Your business may be down for a while but at least your data is safe and sound. To get over hard drive problems, contact the experts that have extensive knowledge and experience in fixing problems like https://www.harddrivefailurerecovery.net/hard-drive-data-recovery-for-mac-laptops-and-pc-drives/ and https://www.harddrivefailurerecovery.net/hard-drive-failure-solutions/. They may cause a small dent on your wallet but at least you get to have your device working once more and your lost data accessible again.